Most likely dating from some time between the 1950s and 1970s. 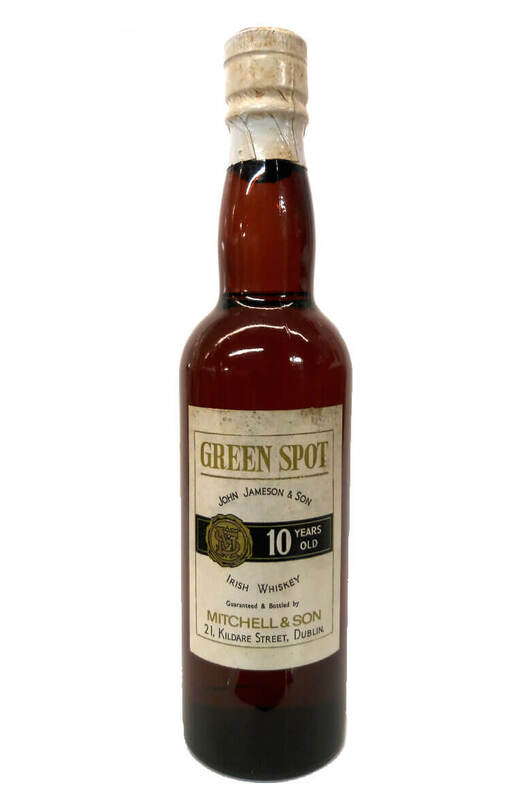 This is a rare bottle of the old Green Spot 10 Year Old. Distilled at Jameson's Bow St distillery and bottled by Mitchell and Son who were located at 21 Kildare Street at the time. Distillery Jameson, Bow St, Dublin.